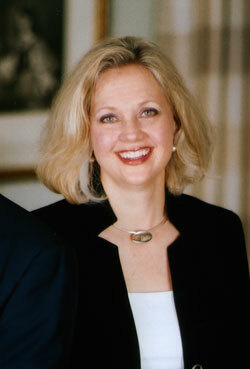 Karen Kleinhenz is Principal & CEO of Kleinhenz & Associates, Ltd. The firm provides investment advisory and economic consulting services to individual investors, businesses, trusts, family foundations and non-profit organizations. Ms. Kleinhenz has over 25 years experience as a financial services executive across a broad range of business and client segments. A former Executive Vice President at KeyCorp and McDonald Investments, she has extensive experience serving the needs of consumers, high net worth individuals, business owners, corporations, institutional and public sector clients. Karen is a graduate of John Carroll University. She earned her MBA from Baldwin-Wallace College and is a graduate of the AMP Program at the Weatherhead School at Case Western Reserve University. She is a 1992 graduate of the PMD program at Harvard Business School. Ms. Kleinhenz is active in the community serving on a number of non-profit boards. She is a trustee and former Chairman of Town Hall of Cleveland and a trustee of Cleveland Scholarship Programs, Inc. She is a member of the Catholic Diocese of Cleveland Finance Council and serves as the Chairman of the Investment Committee. Karen is also a Lifetime Trustee of College Now Greater Cleveland, a member of the Leadership Cleveland Class of 1997, a community advisor and former president of Cleveland Public Art, and a founding member and Vice Chair of In Counsel With Women. She was named a member of the Ohio Venture Capital Authority at the time of its formation. Karen is a former trustee of University Circle, Inc., Providence House, the Golden Age Centers of Cleveland and Walsh Jesuit High School. Her honors include being named a John Carroll University Distinguished Alumni and one of the top 50 graduates of its School of Business, a Nazareth Academy Distinguished Alumna, a YWCA Career Woman of Professional Excellence and one of the most influential women in business by Inside Business Magazine. She has testified before the U.S. House of Representatives Government Reform and Oversight Committee and the Subcommittee on Economic Growth, Finance and Urban Affairs. Ms. Kleinhenz lives in Cleveland Heights, Ohio with her husband Jack. They are the parents of five children.